Our new Monster Island Tables are made from (and inspired by) lumber salvaged from a demolition site half a block from our wood shop. 210 Kent Avenue was a collection of artists’ spaces and small businesses collectively known as Monster Island. We were huge admirers of the crazy colorful murals that covered the facade. And though we really didn’t like the reason for it, we even loved the post-eviction look, when the murals were covered with paint spilled ceremoniously from the rooftop. 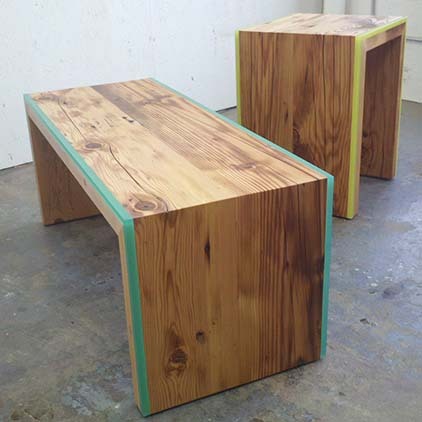 When the building was finally demolished this spring, we rescued (with permission) a quantity of fir beams and joists from the site, hauled them down the block, and started working on a set of waterfall-style tables, using resin in exciting new ways. The simple form of the waterfall design highlights the beautifully aged wood grain and construction scars. The sleek band of inlaid resin plays off the roughness of the wood as though it’s lit from within. 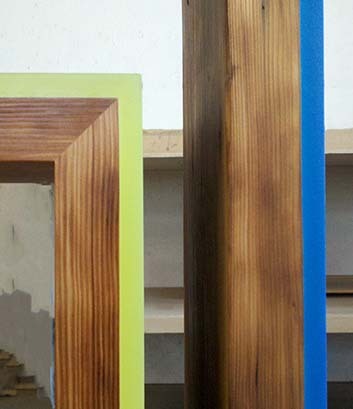 Monster Island Tables are made to order. Custom sizes and colors are available. Email us for details and pricing. We’re sorry Monster Island is gone. Our own shop is in an old factory building too. It is being conserved rather than razed, and for that we are thankful. 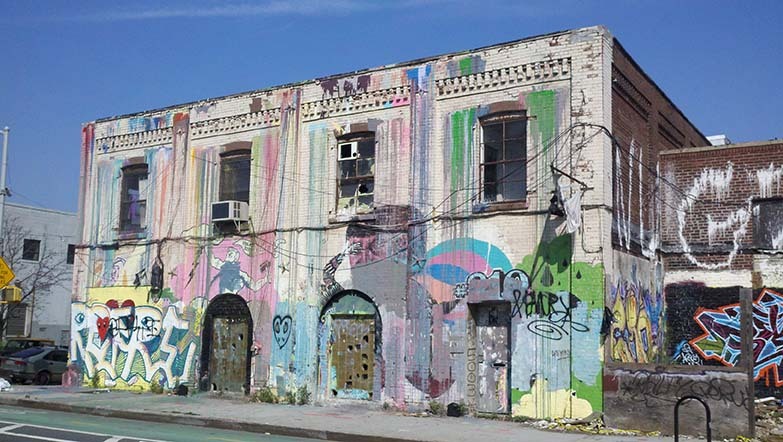 Brooklyn needs affordable work space for artists and makers!